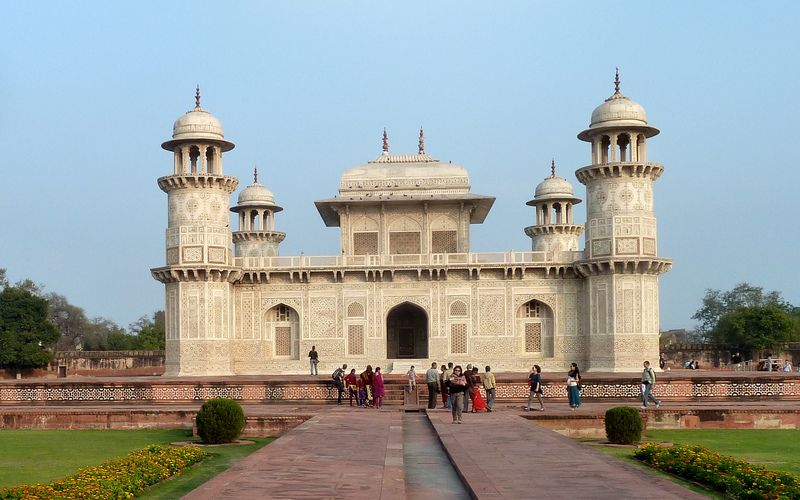 In addition to the Taj Mahal, there is another magnificent mausoleum in Agra, the Itimad-ud-Daulah, which is the tomb of Mirza Ghiyas Beg, the chief minister of the Emperor Jehangir. 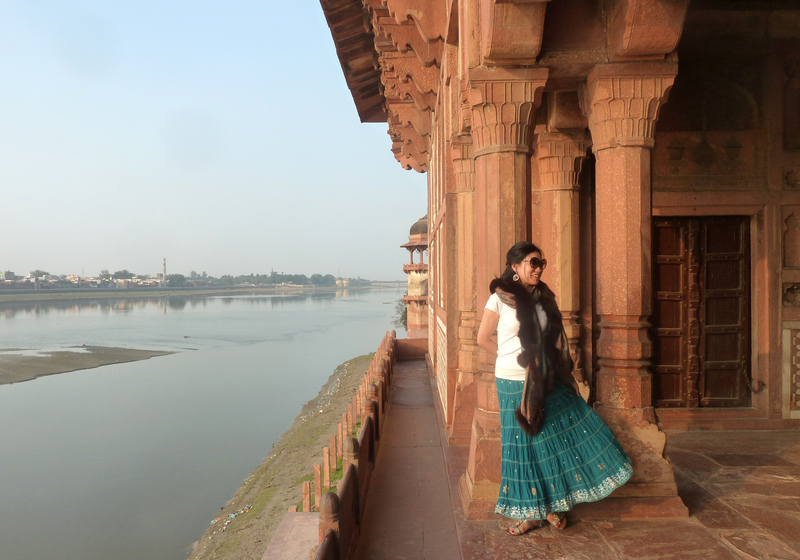 This is often known as the Baby Taj, being a rival to the Taj Mahal on a smaller scale. However baby is perhaps the wrong term, for it was in fact the predecessor to the Taj Mahal being built between 1622 and 1628. 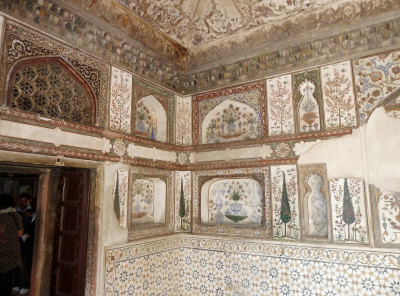 This was built as the mausoleum for the Chief Minister of the Emperor Jahangir: it was his son and successor Shah Jahan who built the Taj Mahal in memory of his wife between 1632 and 1653. The Baby Taj was the first building to be clad entirely in marble and it is this that gives it its wonderful lucid quality. However, instead of having a dome at its centre, it has a small pavilion, which makes it look an even more coherent structure. It was set within a magnificent garden with entrances on each side. In the interior it is decorated with inlay work with many coloured stones. 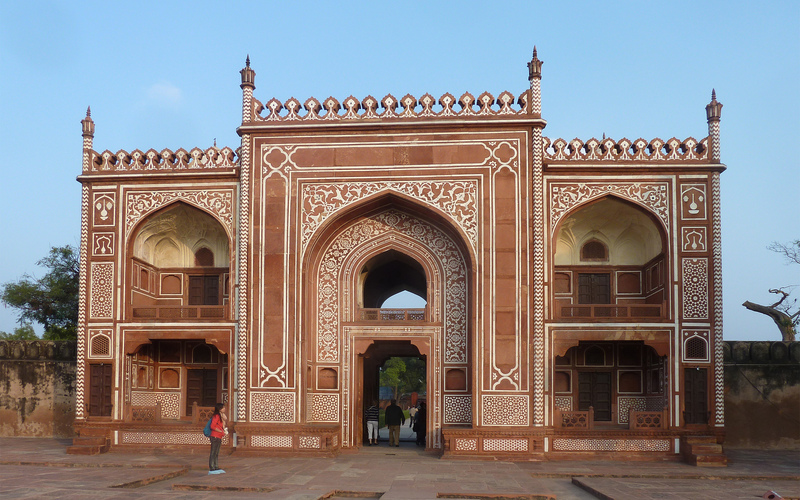 The most magnificent entrance is the main entrance built in a fine red stone with magnificent inlays. On the fourth side it is bounded by the River. 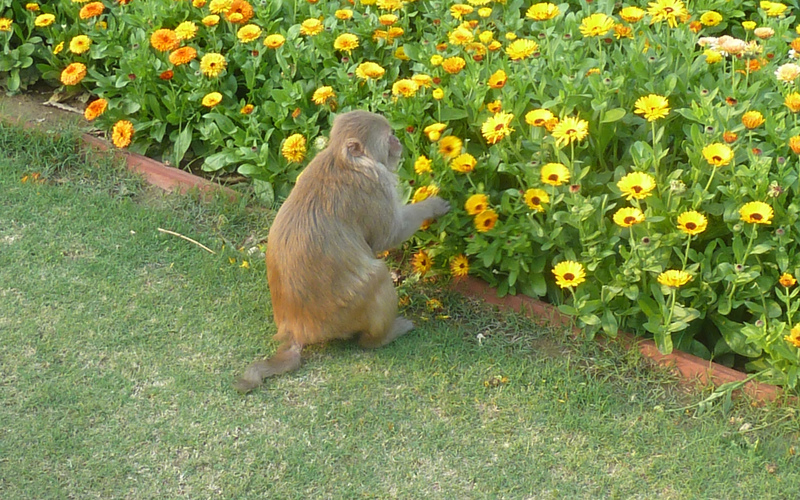 A monkey playing in the grounds!